My mum once told me, tattooed guys are bad guys. But I have to say, tattooed guy is not that bad. Or at least, he is not. 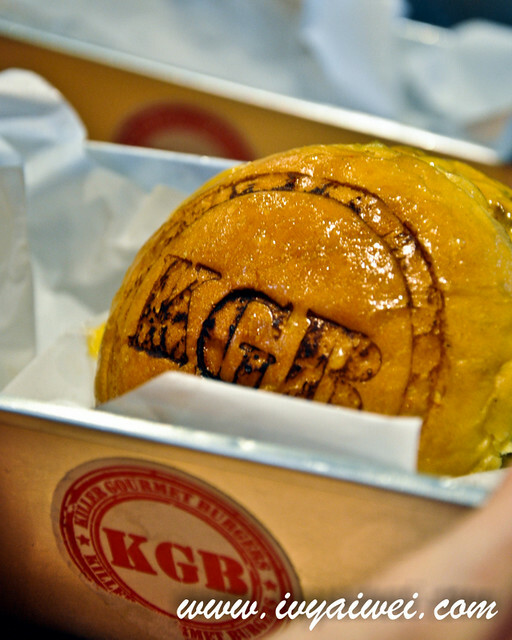 Ahh well, the guy I meant = KGB’s burger! Prettily tattooed on its body. 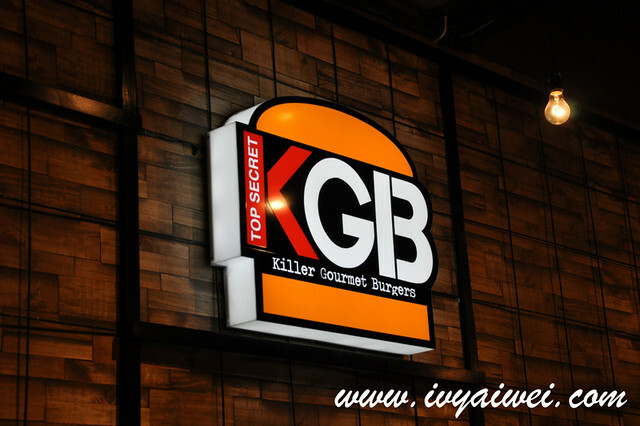 Killer Gourmet Burger or KGB in short is the new kid that popped up at this forever happening area, Jalan Telawi 2 Bangsar. Taking up only half the shop lot, it may be small but definitely not looking small due to the mirrors the walled up the interior. 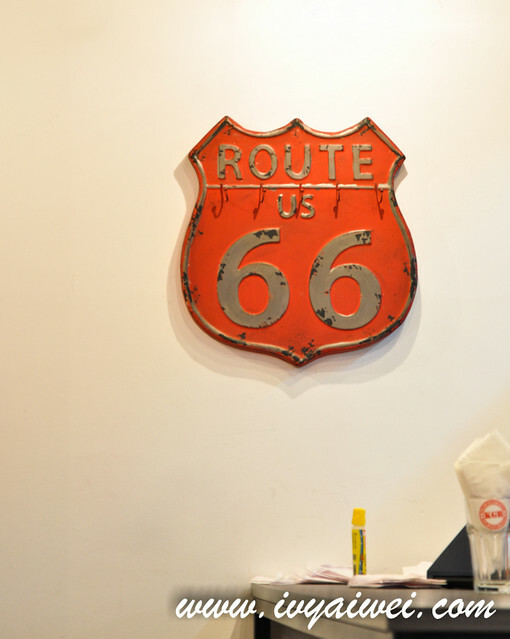 A semi self service concept is embedded where customers have to make their orders at the counter and your orders will be up at your table shortly. It was kicking! 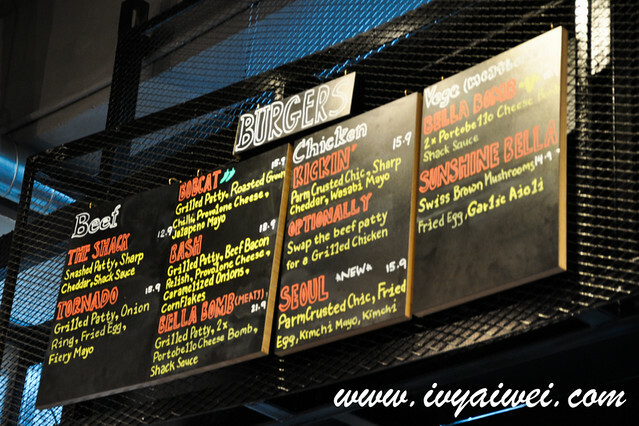 But it was way too spicy and the whole burger was just the spicy flavour and couldn’t really taste the flavours from the patty. 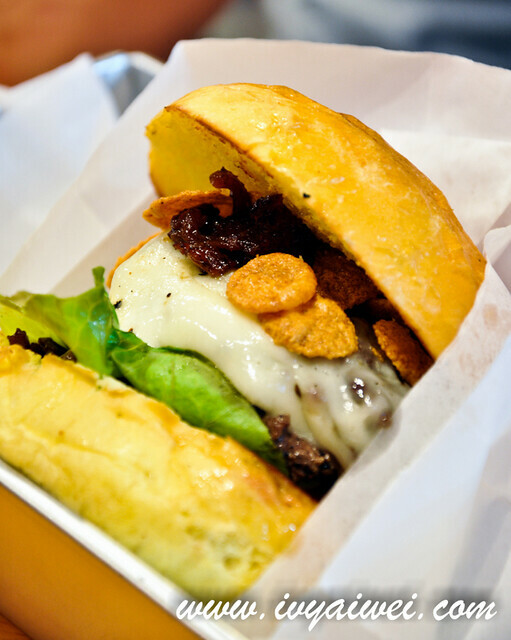 A tall burger filled with grilled patty, beef bacon, relish, provolone cheese, caramelized onions, and corn flakes. How interesting, with added in corn flakes for a crunchy bites. 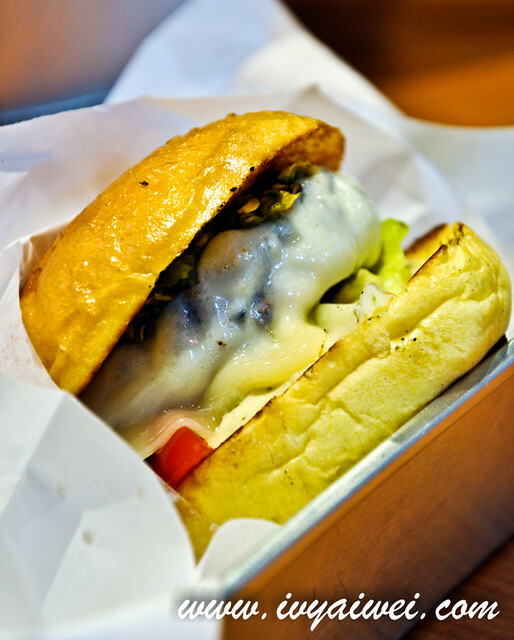 And all you need is a big mouth for a tall burger like this. 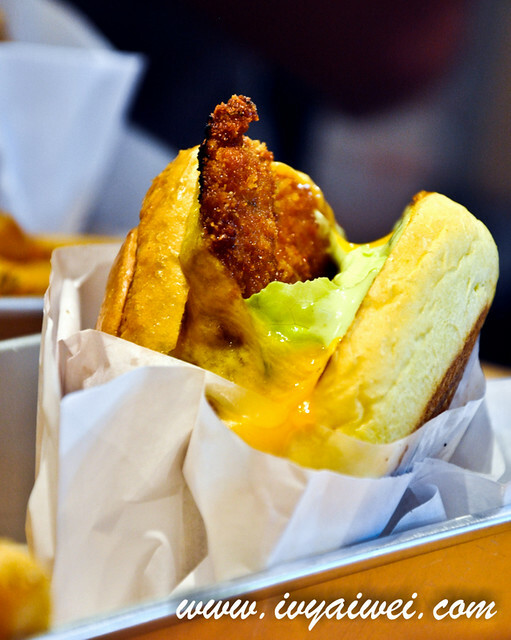 Parm crusted chicken, sharp cheddar, wasabi mayo; or alternately, you can swap the beef patty for a grilled chicken. I took a few bites of Christine’s Kickin. It was really kicking with the wasabi mayonnaise. 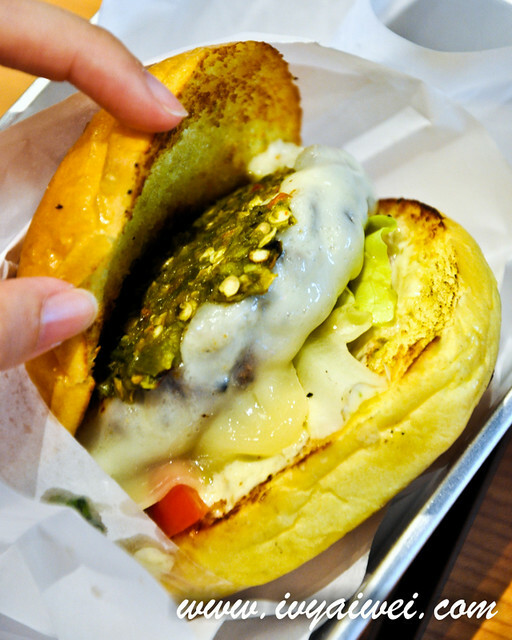 Wasabi and mayonnaise are like the perfect match for this burger. 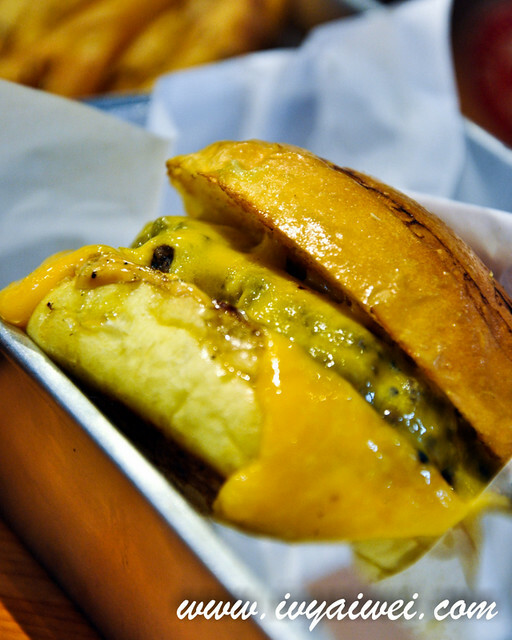 Came with grilled smashed patty, sharp cheddar, and shack sauce. It was juicy until I ate in a mess, myself. 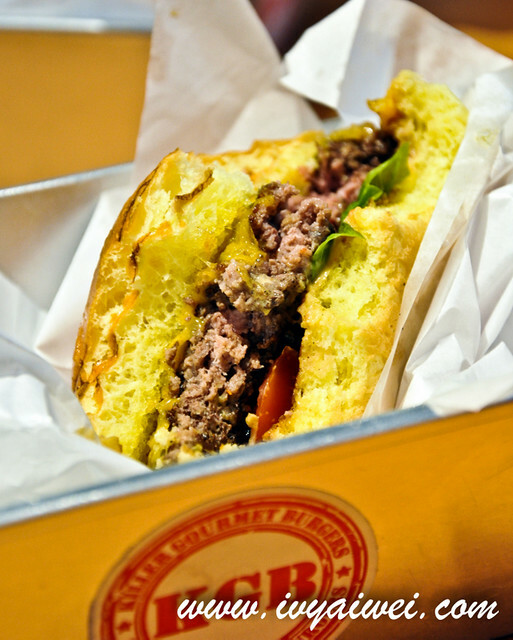 Love the burnt edge of the patty, chewy and fragrant. One word, nice! 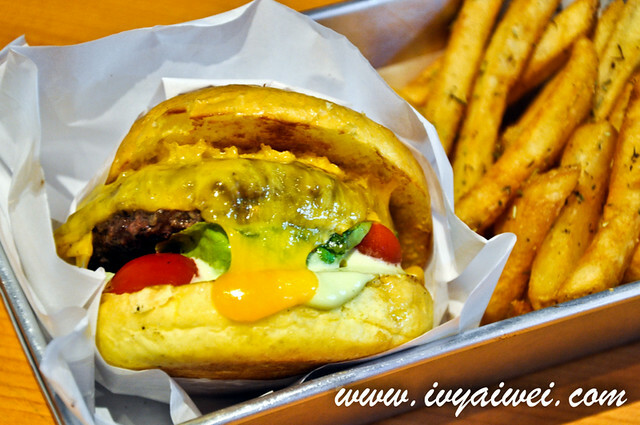 Make it a set with a drink and fries (spiced with spicy cajun, salt and pepper, herbs or malt vinegar) at a charge.